Ancient even to the ancients, Egypt was a great nation a thousand years before the Minoan civilization was established in Crete. It was viewed by the Greeks and Romans of 2,000 years ago with the same awe with which we view ancient Rome and Greece today. A visit to Egypt is like a journey back in time, but the country offers much more than just its history. Made up almost entirely of desert, Egypt owes its past, present and future to a single body of water, the river Nile. 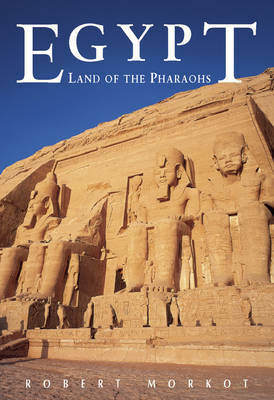 This well-researched guide leads the reader on a journey through the ages from the tombs of the Pharoahs to the modern engineering feats of the Suez Canal and the mighty Aswan Dam. An excellent introduction to the most endlessly fascinating civilization in the world.